The fight to save a language – Over fourteen thousand Cherokee remain in their ancestral homelands in the mountains of North Carolina, but few among them still speak their native language. Recognizing its imminent loss, the Eastern Band of Cherokee are now taking extraordinary steps in a fight to revitalize the Cherokee language. The Cherokee Indians were once the dominant power in what is now the Southeastern United States. 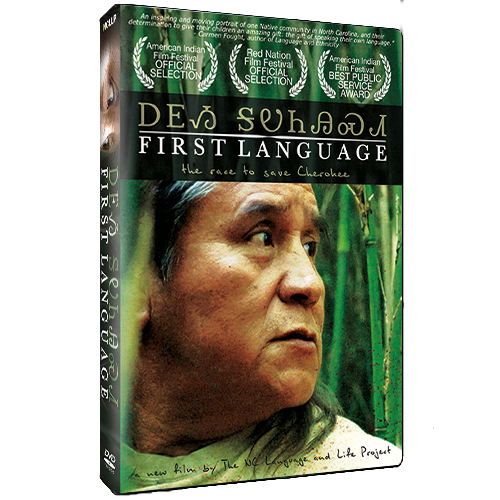 This Emmy award winning film follows this Cherokee community as it comes to terms with a heritage that predates the United States by thousands of years. English and Cherokee with English Subtitles.